Courtesy of Eric W. Helmick, Help! World Tour. 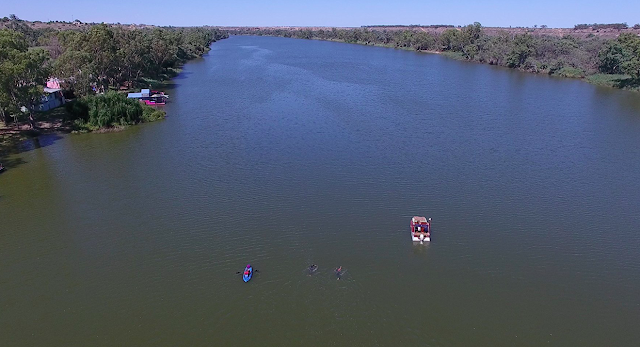 Eric Helmick announced the Way Out West Pictures upcoming film release, Take Your Dream, a self-directed, self-written film about his 2400 km stage swimming journey of hope down the River Murray together with his sons. 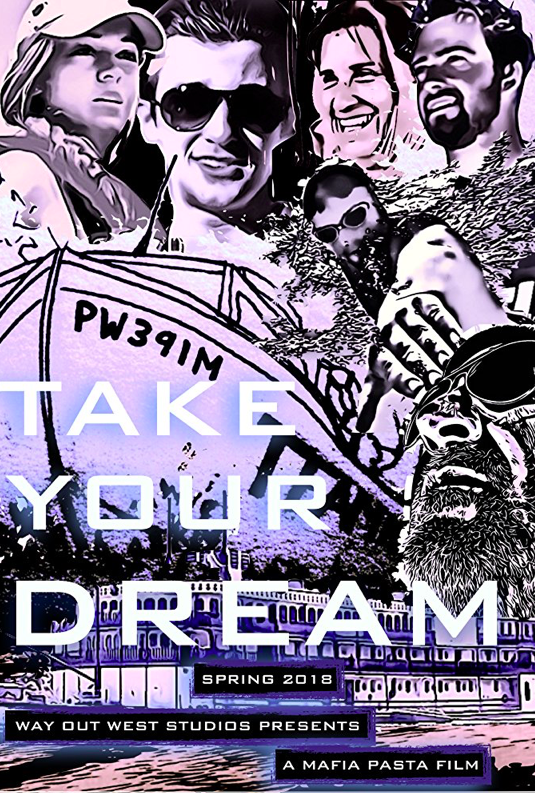 Take Your Dream tells the story of American firefighter Helmick and his two sons, Hunter and Tuck who took on the challenge of swimming Australia's longest river in order to inspire the youth of Australia during 2016. Their journey as Team Help began in the Snowy Mountains and ended 120 days later in South Australia and the Southern Ocean. Their journey was not just a personal challenge. Though the team had experience as certified swift water rescue swimmers, both Eric and Hunter were not endurance swimmers prior to the swim. They simply wanted to do something that would capture people's attention and in so doing, were able to find opportunities to meet with youth along their journey. The goal was simple. Do something epic to inspire people. Inspiration brings hope. Hope brings transformation. As the team met with youth and schools along their journey, they were able to share their hearts and encourage others to believe in themselves. To support Help! World Tour, visit here.